100% joyful, departure & price guarantee! Get the best of St.Petersburg and its surroundings. Intensive activity, guaranteed departure and price, all inclusive. Covers the most interesting sights of the Cultural Capital of Russia. Moderate activity, guaranteed departure and price, all admission, services, fees and taxes included. Enjoy the highlights of St.Petersburg and see the real city from the local perspective. Moderate activity, guaranteed departure and price, free time in the city, all admission, services, fees and taxes included. SPB in an abbreviation for St. Petersburg. This city is at the top of the list of the most beautiful cities in the world. 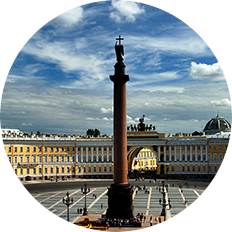 Every year SPB hosts about a million visitors from all over the world and stands among the world class cities. It is already a well-known, popular travel destination. 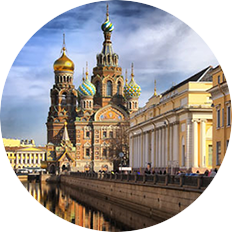 SPB Tours & Tickets objective is to become a major, contributing force in making St. Petersburg one of the world's MOST desirable and talked-about travel destinations. This city will be the highlight of your Baltic cruise, please let us strengthen your desire to visit our wonderful city, so rich and interesting with history and culture. We will be happy to assist with every single detail of your shore excursions in Russia and the Baltics from visa free service to tailor-made private tours, personalized to satisfy your interests and wishes. 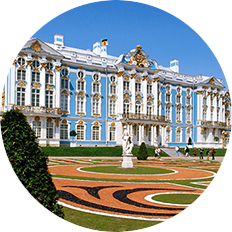 Group and private shore excursions in St.Petersburg / Russia, Tallinn / Estonia, Riga / Latvia, Helsink i/ Finland, Stockholm / Sweden, Oslo / Norway, Berlin / Germany. Copenhagen / Denmark. 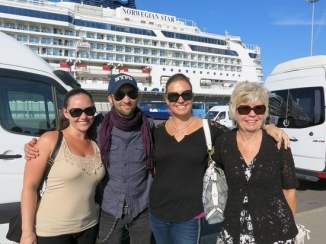 Every tour can be customized and personalized to satisfy your interests. Please feel free to share all of your travel wishes with us. We will find the way to make your travel dreams true. Travelling to St Petersburg with kids does not mean you miss out on anything, this is a fun city for kids too, you just need to find a tour operator willing to provide appropriate excursions exciting for all the family. Our team will happily do that for you.